UPDATE: We've asked Verizon what that "Bokeh" camera effect is supposed to do because Samsung Galaxy Note 8 offers that feature since day one. They said they don't know either, so there must be a mistake or perhaps some improvements to that specific feature. 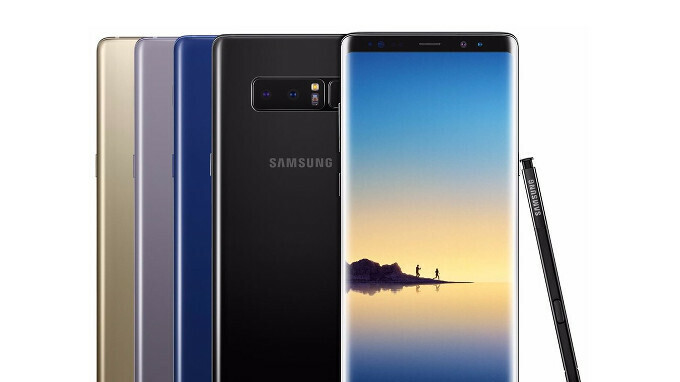 Major carrier Verizon has just released a changelog for a new Samsung Galaxy Note 8 update. Although it doesn't bring too many new features, the update is supposed to address some important security and software issues. First off, Verizon notes the update delivers the January security patch, which includes fixes for the dreaded Meltdown and Spectre exploits. Aside from that, the update is meant to address an issue that froze the screen during incoming calls. Some force close bugs that appeared when unlocking the device or when the user tried to change the method of locking the device screen from the settings have been addressed as well. Finally, as the title says, the small update adds the bokeh camera effect while using Live Focus, so make sure you check it out after downloading the new firmware version (NMF26X.N950USQU3BRA5). Samsung Galaxy Note 8 owners can download the update via Wi-Fi or by using Verizon's network. Make sure your battery is fully charged before starting the update though. Don't see it yet. Mine says last update 12-27 and when I check for updates it says I'm all set. I'll keep checking. Guess I wasn't paying attention, but it's a bit deceptive. It says "You're all Set", but then there is another line you can select to check for updates. Anyways, clicked that and checked for updates and it was there. Installing now. What else Verizon add to this update? Since they like to remove Samsung options for there own bloat. Verizon really is a crooked carrier. Never again. If you was the only carrier I wouldn’t even use a phone at all. Downloading the update right now. I never had a problem with the screen freezing up though.